The diagnosis and treatment of Diffuse large B-cell lymphoma (DLBCL) have evolved significantly in the past decade. With advances in our understanding of DLBCL through the application of immunophenotypic, molecular cytogenetic analysis and clinical correlation, a growing number of discrete subtypes and entities of DLBCL have been recognized, along with improved prognostic stratification and treatment strategies. A simple diagnosis of DLBCL and standard chemotherapy are no longer appropriate for every individual patient anymore. Pathologists and practicing clinicians need to be familiar with current literature in order to achieve the best treatment of their patients. 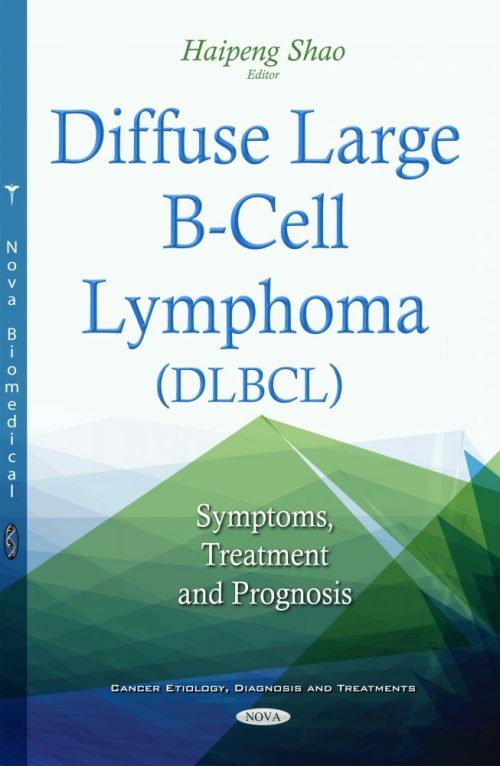 This book aims to provide the most up-to-date knowledge of the diagnosis, prognosis and treatment strategies of DLBCL. Each chapter focuses on a different subject of DLBCL: pathology, prognosis, chemotherapy regimens and future directions, role of radiation therapy and hematopoietic stem cell transplant, and treatment strategies, as well as special considerations in the treatment of the most common subtypes of DLBCL. The authors are practicing physicians in major medical centers and university hospitals, and are familiar with the challenges of diagnosing and treating patients with DLBCL. The book is written for practicing physicians and provides practical information and advice for their daily practice. Residents, fellows and physicians in their early career development will also find the contents of this book useful for their education and board preparation. The authors hope that the material covered in this book will serve as a foundation for readers to keep up with future developments in this specific field of study. The book is written for hematologists, oncologists, pathologists, nurses, clinical fellows, and residents. Patients diagnosis with diffuse large B-cell lymphoma will also find the information in the book useful for their treatment.